Amid all the noise over the plunging price of oil and gas, something else has been happening in the energy sector. Amid all the noise over the plunging price of oil and gas, something else has been happening in the energy sector: the rise of solar power. Developments everywhere from Mexico to India have been steadily building not just solar capacity, but its affordability as well. And sector analyses have pointed out that solar is in for an explosion that could well jump it to the head of the pack as the dominant source of energy in the not-too-distant future. Falling oil and gas prices had been thought to be a negative influence on the solar industry, but that has not proved to be the case. And, according to David Richardson, managing director and the head of business development and client service for North America at environmentally focused investment manager Impax, there’s no reason for it to be. “We think the connection between oil prices and solar power is a false one, because oil is a transportation fuel, not a power generation fuel. Just because oil is falling doesn’t really have any impact on solar, because of government policy on cleaner air and renewables. The markets overreacted to that,” said Richardson. Instead, clean technology is where lower oil prices will have an impact, even though it’s “actually sort of in a counterintuitive way,” he said. With lower oil prices causing people to buy bigger cars, clean air and fuel efficiency (CAFE) standards are more difficult to reach. That means that clean technology will have to work harder to enable those larger vehicles to meet CAFE standards. That means that oil prices are indirectly driving such improvements as lighter-weight cars, increased drive train efficiency and similar measures. India announced plans to quadruple its renewable energy supply by 2022, with the majority of that increase—100 gigawatts—to come from solar. Indian Railways has announced the planned development of 1,000 megawatts of solar power projects over the next five years. Brazil has announced that it would cut taxes on solar panels to promote their use by households to boost the use of solar power. 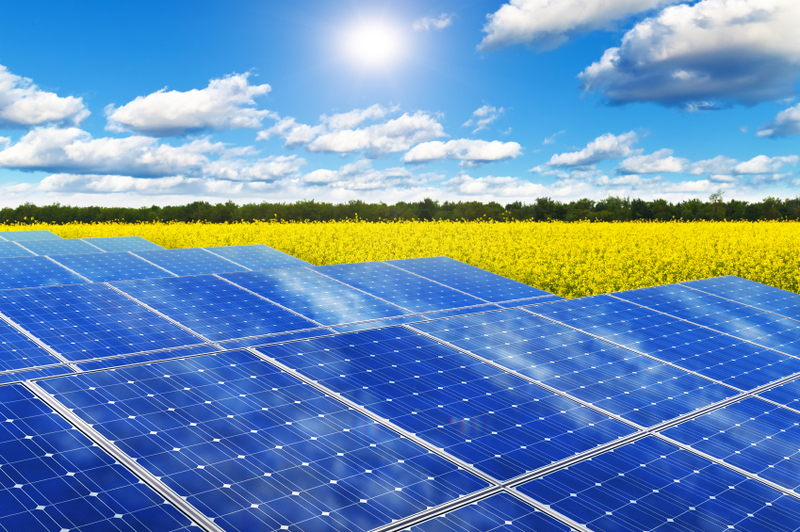 French renewable energy company Neoen announced that it would be building the largest solar park in Mexico, adding another 30 megawatts to the country’s 2014 solar energy capacity of 150 megawatts. And at an auction in the U.K., developers won contracts to build five solar plants that will produce power at just a tad more than the current going rate for conventionally generated electricity. And if none of those developments are adventurous enough, the Solar Impulse 2, a solar-powered aircraft, took off on the beginning of a flight around the world expected to take five months as it campaigns for clean technologies. The Solar Impulse 2 counts among its roster of sponsors not only Zurich-based ABB Ltd., which is the largest maker of devices that convert solar energy into electricity, and Masdar, Abu Dhabi’s state investment company Mubadala’s renewables unit. Some areas where solar isn’t faring too well are Japan, where Richardson said there are short-term disruptions because “utility companies have put the brakes on connecting solar projects to the grid,” and Russia, where recent reports have identified solar projects’ problems with a plummeting ruble. A first-ever move in 2013 by the Russian government to provide subsidies for renewable projects has not been enough to counteract the effects of the ruble’s fall, a tanking economy and higher interest rates—all of which have combined to drive solar companies to seek renegotiation of the terms of their contracts. Still, if current trends are any indication, the sun is definitely rising on solar.